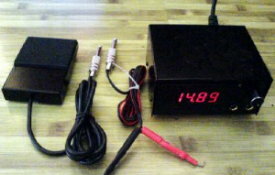 1) 1 high quality steady power supply. (110/240V - switch on back allows you regulate the power to fit your country�s voltage, output 15V DC max). We will send the power cord to fit your country�s standard Plug, 2) 1 clip cord, 3) 1 foot swith. 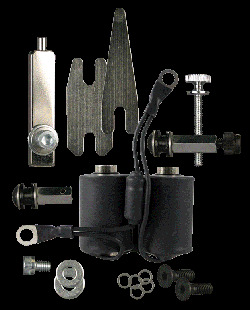 This Standard Rebuild Kit includes; 1) 1 Set Shrink Tube Assembled Coils, 2) 1 Front Binding Post, 3) 1 Rear Binding Post, 4) Front & Rear .O2O Springs, 5) Insulators, 6) Shims, 7) Washers, 8) Screws. NOTE: When Checking out online, Please Specify 8 or 11 Wrap in the Special Instructions Box. If none is specified then we will send what is readily available. 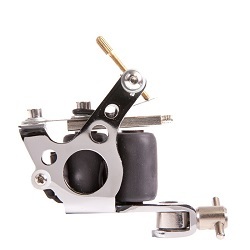 The superior brass-plated cast iron mini dial has become our best selling lining machine. It runs clean, crisp lines for great detail. 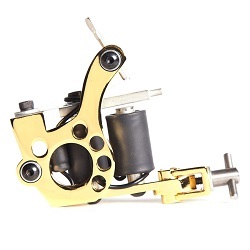 This micro-dial is a high-performance liner machine constructed of laser cut and bent steel, assuring quality. Tube and grip sold separately. 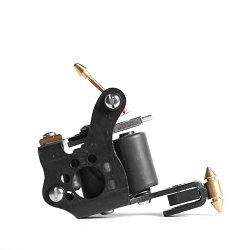 The "Wasp" Tattoo Machine; 1) Hi-tech non-metallic frame eliminates electrical shorts and overheating. 2) No rust or corrosion problems. 3) Not subject to undesirable magnetic fields. 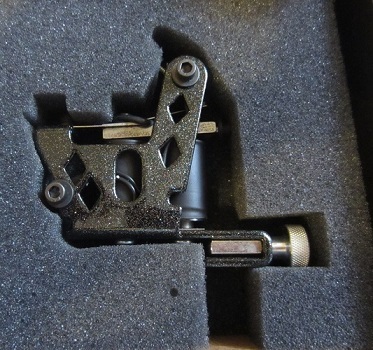 4) Fewer parts. 5) Eight times stronger than aluminum. 6) Tensile stress yield = 7,000 p.s.i. 7) Black. 8) Weight = 6.8 ounces. 9) Made in USA! 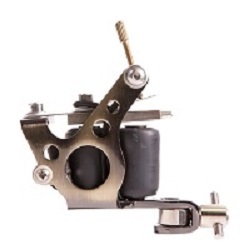 The "BlackDiamond" Tattoo Machine; 1) Hi-tech all steel frame with chicory powder coat eliminates electrical shorts and overheating. 2) No rust or corrosion problems. 3) Not subject to undesirable magnetic fields. 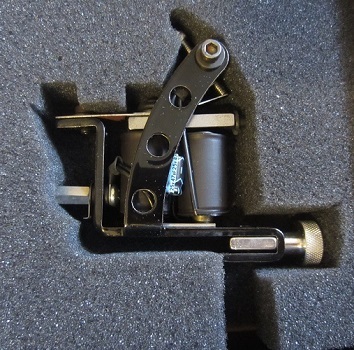 4) Fewer parts. 5) Eight times stronger than aluminum. 6) Tensile stress yield = 7,000 p.s.i. 7) Black. 8) Weight = 9 ounces.